Here at JB Plumbing and Rooter, we recognize that Tankless water heaters are a popular new trend as they offer energy efficient water heating that is superior to using traditional water heaters. These water heaters save energy by heating water only when and as it is needed in order to provide an endless stream of hot water for your appliances and other water needs. 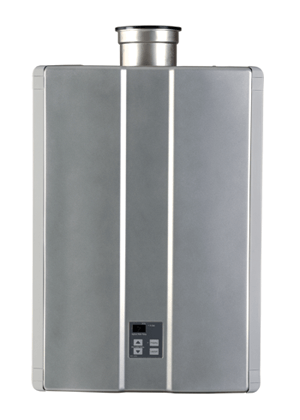 Tankless water heaters use either an electric element or a gas burner to heat water directly as is it needed without the use of a storage tank. When the water tap is turned on, the smart water heater tests the water temperature and determines how much the water needs to be heated up. Then in a gas-fired tankless water heater, a gas burner is turned on to directly heat the water as it passes through the unit. Electric water heaters use an electric element to heat water as it flows through the unit. Therefore, these water heaters are able to provide a constant supply of hot water throughout your home. At JB Plumbing and Rooter, we offer installation, service, and repair of modern water heaters. With our complete water heater services, we can meet all of your needs. This includes repairing your existing water heater or helping you to decide if installing a new tankless water heater is right for you. To learn more about our water heater services available, please contact JB Plumbing and Rooter today.